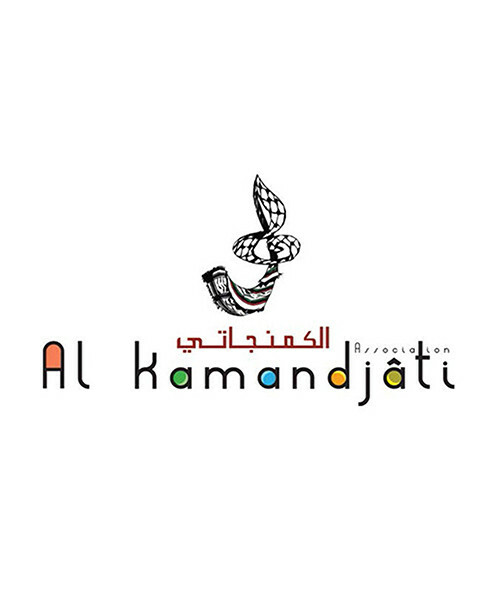 Al Kamandjâti Association (AK) is a non-profit organization established in 2002 with the vision of introducing and promoting broad-based musical education and appreciation as an integral part of Palestinian life. AK exists to make music accessible to the entire Palestinian community and to teach music to Palestinian children and strengthen their appreciation of Palestinian culture and identity. It was founded by Ramzi Aburedwan from Al Amari refugee camp. AK aims to set up music schools and musical interactions for Palestinian children, in particular the most vulnerable ones, living in refugee camps and marginalized or remote locations. The goal is to offer children the chance to discover their cultural heritage and to give them access to global opportunities to grow their creative potential. In order to reach these objectives, AK implements an original and tailored music education program in six different locations in Palestine (the cities of Ramallah and Jenin, the refugee camps of Al Amari, Qalandiah and Jalazon, and the village of Deir Ghassana), as well as in two locations in Lebanon (the refugee camps of Bourj el Barajneh and Chatila). Around 500 children between the ages of 5 and 18 benefit from this program by learning how to play musical instruments, studying music theory and taking pride and enjoyment in expressing themselves through music. AK currently covers 80% of students’ tuitions through scholarships. AK also believes in the benefits gained in using music as part of the early curriculum. As such, and following the success of its education programs, AK has replicated these programs to be implemented in several kindergartens in the Jenin area, serving around 500 children between the ages of 3 and 5 each year. AK is working on introducing music education to UNRWA schools, where it reaches around 2000 children, aged between 5 and 8, from the refugee camps yearly.